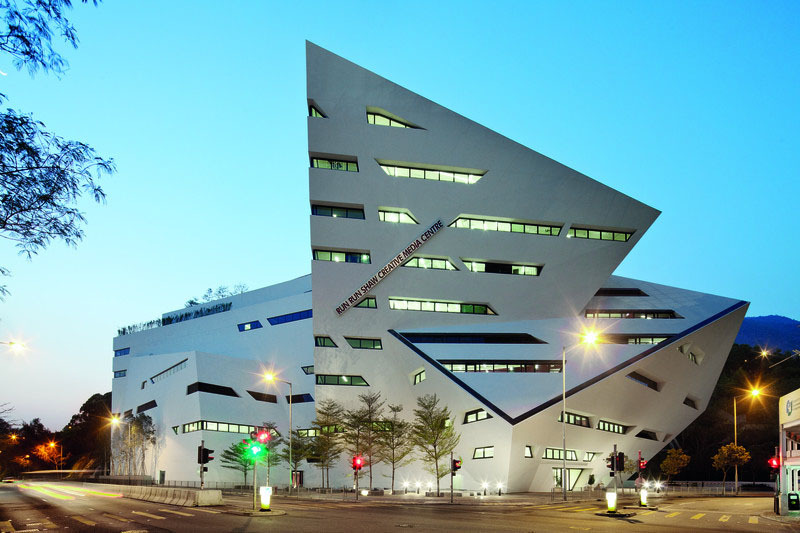 Designed by New York architect Daniel Libeskind, the Run Run Shaw Creative Media Centre for the City University of Hong Kong has a distinctive crystalline design which creates an inspiring environment for research and creativity. The facility also includes a multi-purpose theatre, sound stages, laboratories, classrooms, exhibition spaces, a cafe and a restaurant. 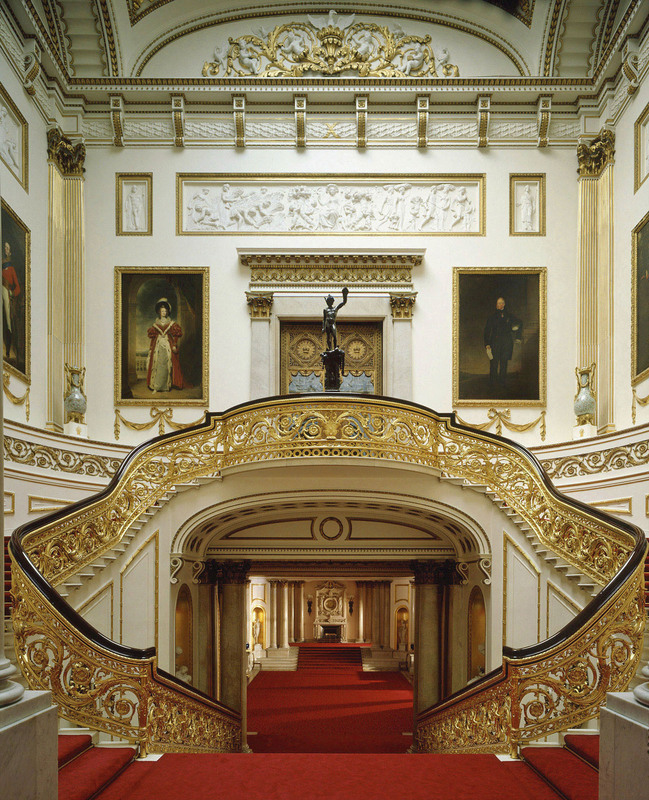 Daniel Libeskind is best known for overseeing the rebuilding of the World Trade Center site in New York. This steel and concrete structure reflects his progressive design style. 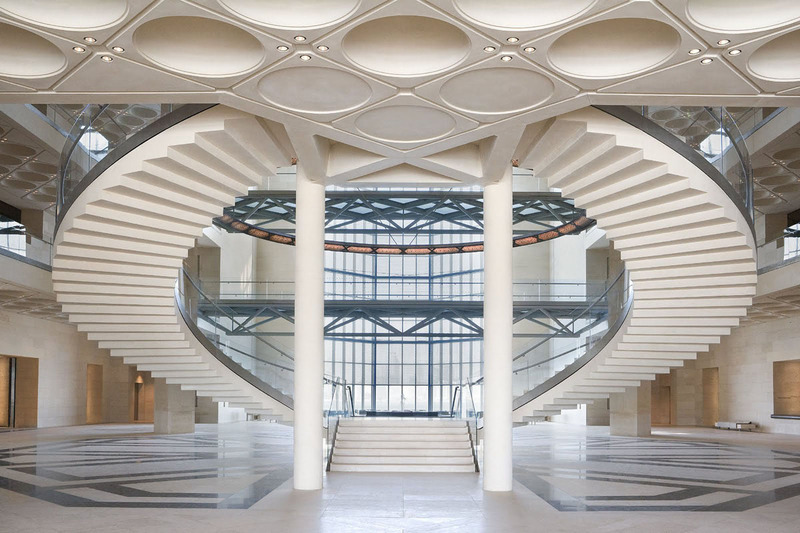 Metropol Parasol, the Redevelopment of the Plaza de la Encarnacíon in Seville, Spain is a stunning structure designed by J. MAYER H. Architects. 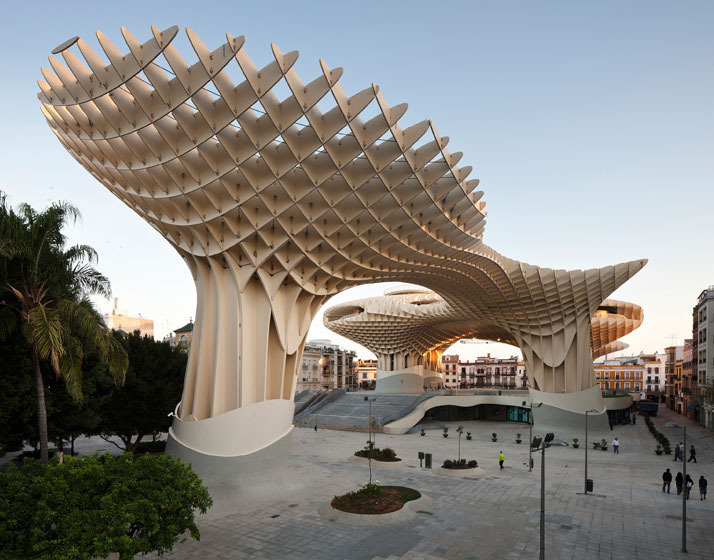 Completed in April, 2011, Metropol Parasol is the new icon for Seville. It articulates Seville’s role as one of the world’s most fascinating cultural destinations, and explores the potential of the Plaza de la Encarnacion to become the new contemporary urban centre. 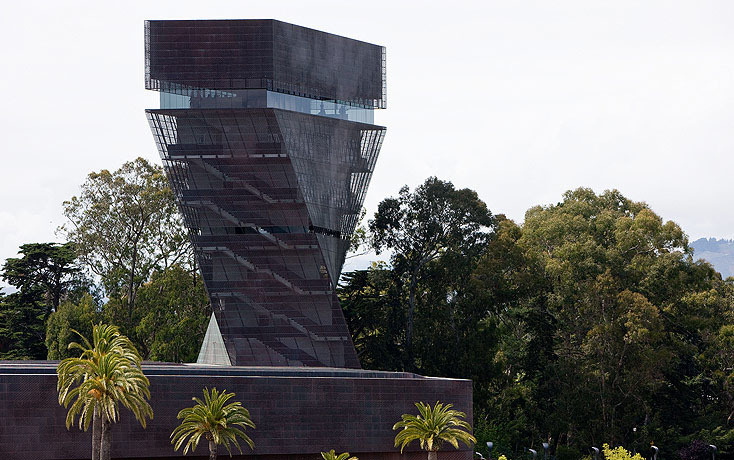 The M. H. de Young Memorial Museum in San Francisco, California is a fine arts museum first opened in 1895. 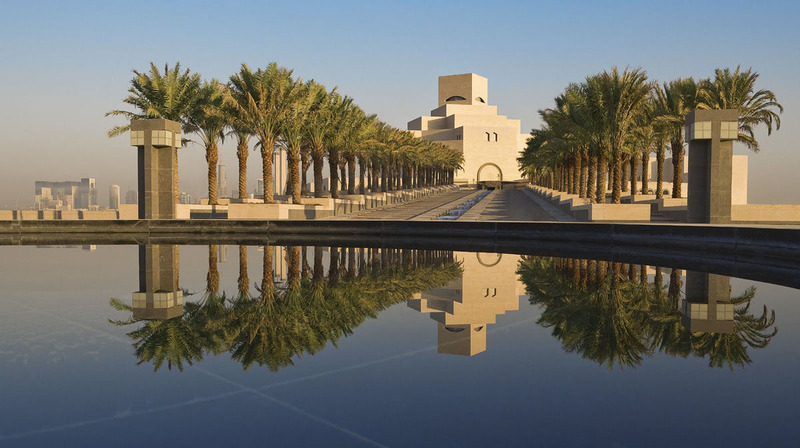 Earthquakes have damaged the original building, and in 2005, a new structure was completed by Herzog & de Meuron. A twisting tower in the shape of an inverted pyramid is the most distinctive feature of its exterior. Located in Golden Gate Park, the new museum is sensitive to its natural setting. Landscaped gardens by Walter Hood harmonized the surroundings. 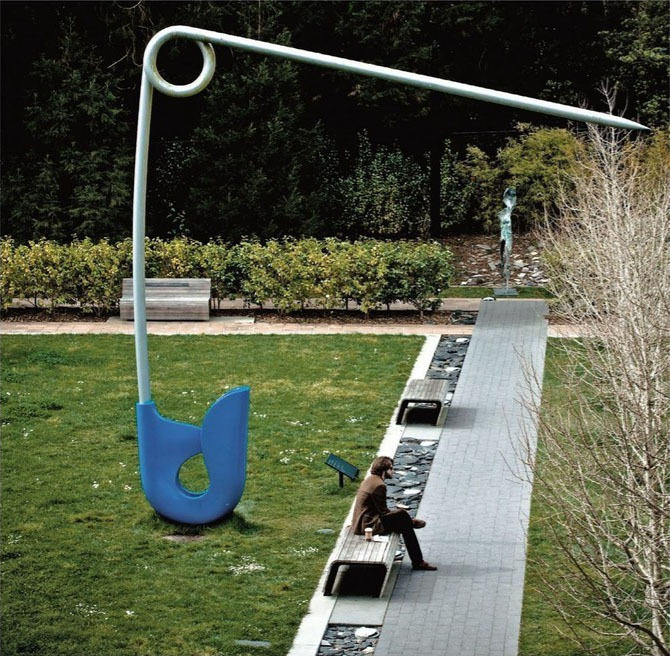 In the Barbro Osher Sculpture Garden, a 21-foot safety pin adds an artistic element to this interesting property. 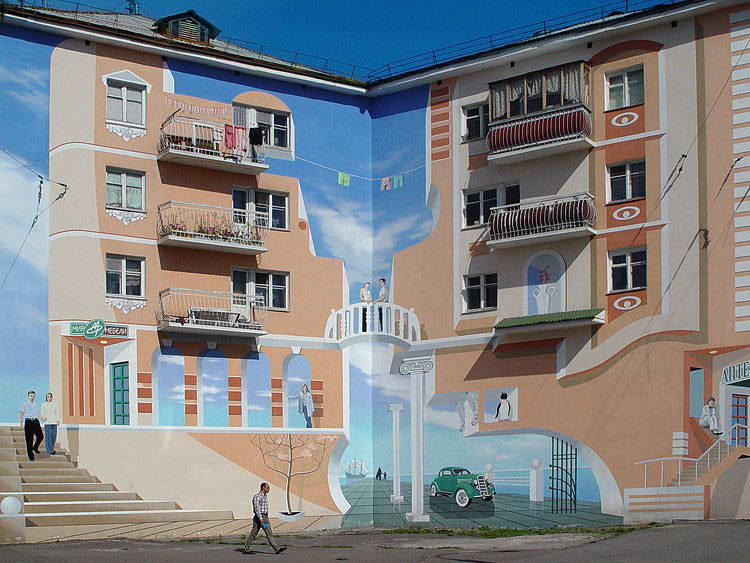 These amazing building murals spice up the urban landscape with their creative illusions. Built in the shape of the human eye, L’Hemisfèric is one of the structures within the City of Arts and Sciences in Valencia, Spain. 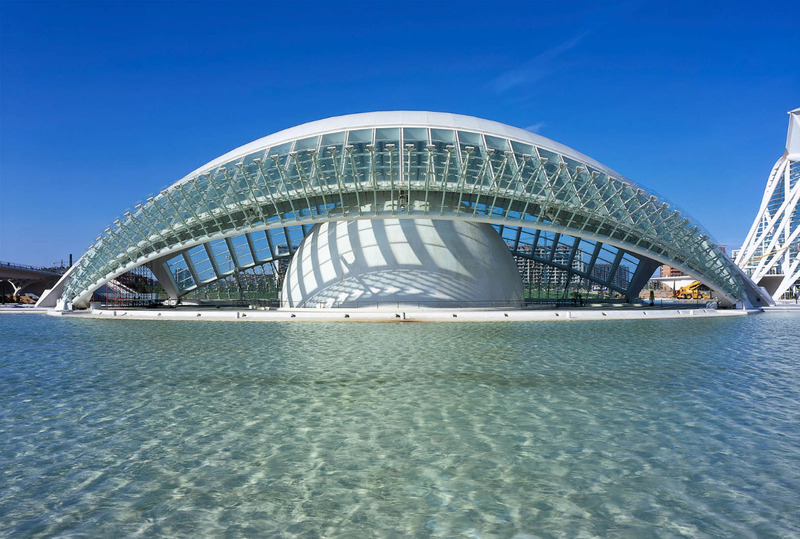 Designed by architect Santiago Calatrava, L’Hemisfèric houses an IMAX theatre, a Planetarium and a Laserium. 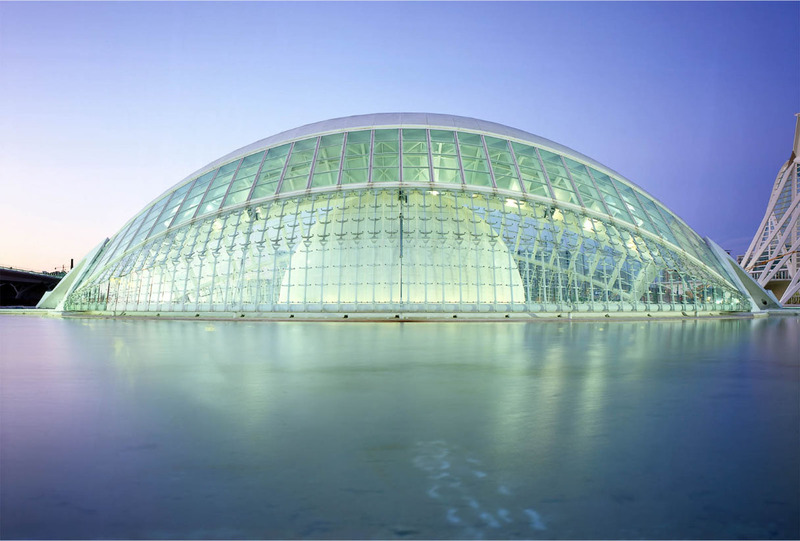 The “pupil” is the hemispherical dome of the IMAX theatre and the “eyelid” can open and close by using hydraulic lifts to operate the steel and glass shutter. This impressive architectural masterpiece is situated at the end of the dried up riverbed Turia. Calatrava wanted to bring water back to the area by creating a reflecting pool which also serves as a stunning artistic display at night when the lighting creates an image of a whole eye. 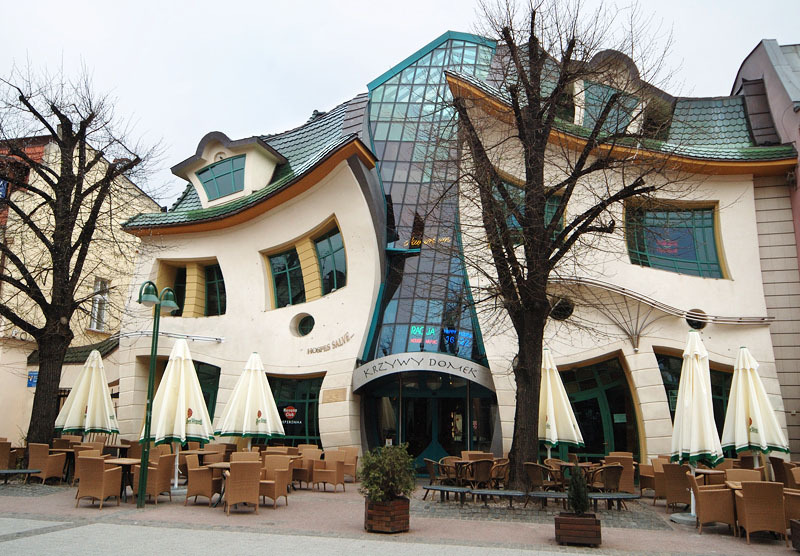 The Krzywy Domek “Crooked House” is an unusual piece of architecture located on Monte Cassino Street in Sopot, Poland. Completed in 2004, the building was designed by Szotyńscy & Zaleski who were inspired by the fairytale illustrations and drawings of Jan Marcin Szancer and Per Dahlberg as well as designs by Antoni Gaudí. The magical effect draws many visitors to the property which houses restaurants, cafés and shops.